All pastas are not created equal. The average, run-of-the-mill pasta you likely enjoyed as a child is typically made of semolina (wheat) and durum flour (wheat), with some added vitamins and mineral for good measure. A typical serving of this OG pasta contains about 200 calories, one gram of fat, 40 grams of carbohydrates, two grams of fiber and seven grams of protein. These days the supermarket shelves are flooded with all types of pastas (veggie, rice, quinoa, bean, etc.) with all sorts of nutritional claims, from calorie-free or high-fiber to high-protein or gluten-free. We sorted through the clutter to find the best of the best when it comes to nutritional bang for your buck and taste. Here’s the lowdown on our nine favorite pastas available on the market. If you’ve ever read the nutrition facts panel on a package of pasta, understanding what a portion means can be kind of tricky. Typical portions are listed in grams and that’s for dry pasta; translating that to cooked pasta in cup portions can be confusing. A typical serving size of two ounces can range from two-thirds to about one cup of cooked pasta depending on the shape. For instance, two ounces of dry tortellini equals one-half cup, which cooks up to one cup. Meanwhile, a two-ounce serving of dry ziti is two-thirds of a cup, but it’s one and one-quarter cup cooked. No calories, no soy, no net carbs and no fat: Shirataki noodles sound too good to be true. And depending on your palate, this might be the case. 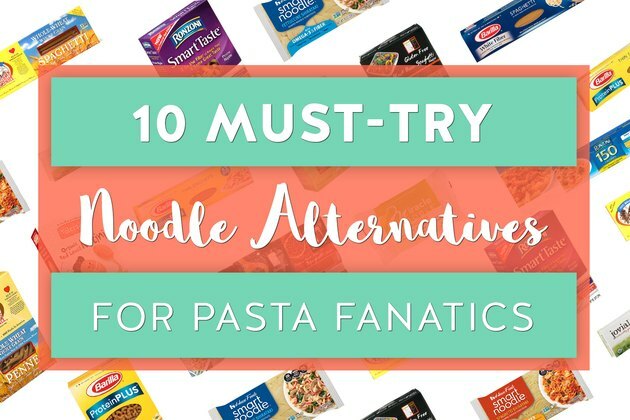 “Made from only two ingredients — soluble fiber and water — these noodles really are calorie-free, making them a great option for those looking to lose weight,” says Tanya Zuckerbrot, M.S., RD. 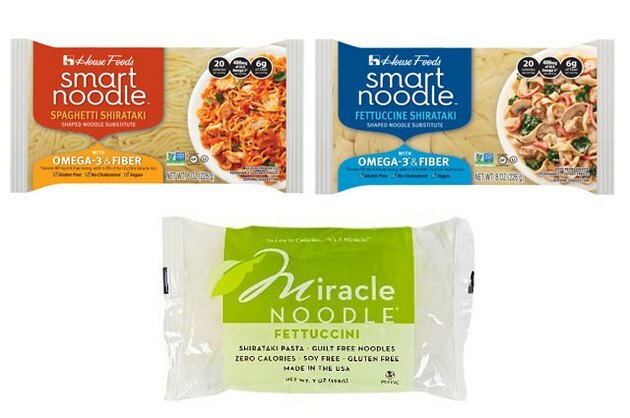 You can find shirataki noodles under the brands NoOodle, Miracle Noodle and House Brands’ Tofu Shirataki and Smart Noodle, which contain 20 calories per serving. Fair warning — they are super-low in calories and, well, everything else, but they’re probably not for everyone. The noodles have a slight fishy smell when the packaged is first opened. After rinsing thoroughly, boiling and then heating in a pan as instructed, the texture cannot be mistaken for regular pasta. But, if low-calorie, low-carb is your goal, these are worth a try. Pulses, or beans, are having a well-deserved moment, thanks to their naturally high fiber and filling protein content. 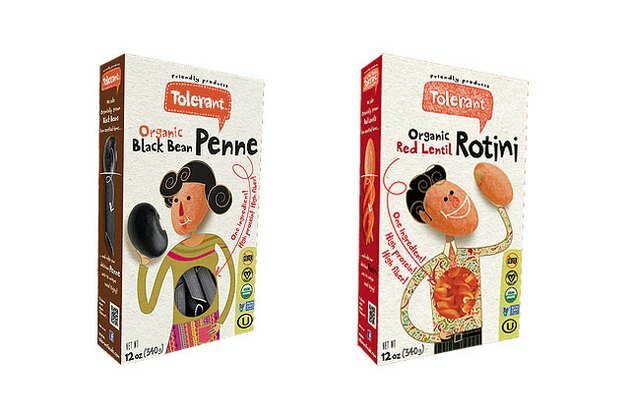 Tolerant took non-GMO black beans and red lentils and created three legume-based pastas: penne, rotini and mini-fettuccini. They’re a great gluten-free pasta alternative that isn’t made of brown rice. While the texture of these can be a little chewier than regular pasta, they have a delicious, “earthy” taste. A two-ounce serving provides about 212 calories, 10 grams of fiber and 15 grams of protein. 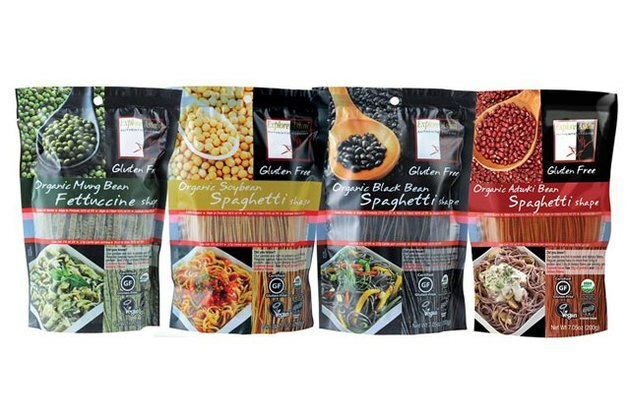 Another organic bean-based pasta, Explore Asian has created a variety of options, including adzuki bean spaghetti, soybean spaghetti, edamame and mung bean fettuccini, edamame spaghetti and black bean spaghetti. Although it varies slightly based on the type of bean used in the pasta, the fiber and protein content is off the charts. A two-ounce serving has 180 to 207 calories, 10 to 15 grams of fiber and 20 to 25 grams of protein. Like the Tolerant pastas, they don’t have quite the same taste or texture of pasta, but they’re still delicious. Here’s another pasta option bulked up with fiber that still tastes like pasta. 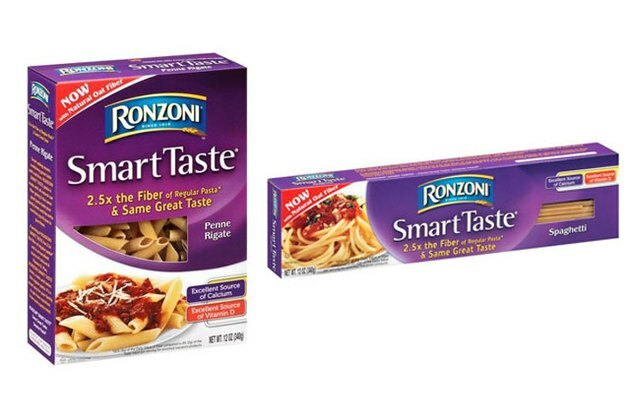 “This option is healthy as well as perfect for kids because it tastes just like regular pasta yet has 2.5 times the amount of fiber. Smart Taste is also a great source of important nutrients like vitamin D and calcium,” says Tanya Zuckerbrot, M.S., RD. Most Americans come up short when it comes to getting enough fiber, and many are deficient in vitamin D too. A two-ounce serving has 180 calories, five grams of fiber and six grams of protein. Fiber is a game-changer when it comes to feeling full. 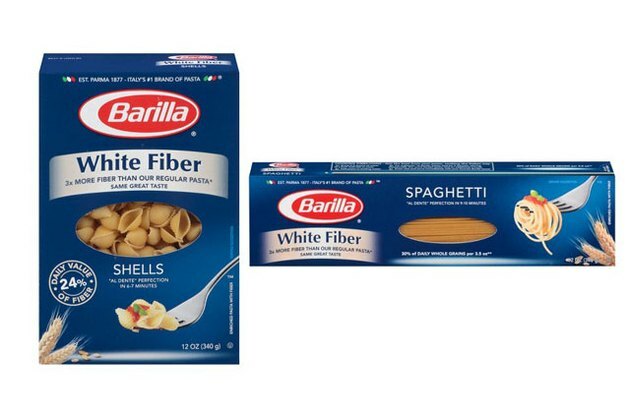 “Barilla White Fiber offers three times the amount of fiber compared to regular pasta, but looks and tastes like regular pasta, making it a kid- and family-friendly option,” says Tanya Zuckerbrot, M.S., RD, author and founder of F-Factor Nutrition, a private nutrition counseling practice in Manhattan. “A two-ounce cup serving has 180 calories, a whopping six grams of fiber (24 percent of the Daily Value) and six grams of protein. Because the calories can still add up quickly, try this pasta as a side dish with lots of fresh vegetables and grilled chicken or fish,” recommends Zuckerbrot. 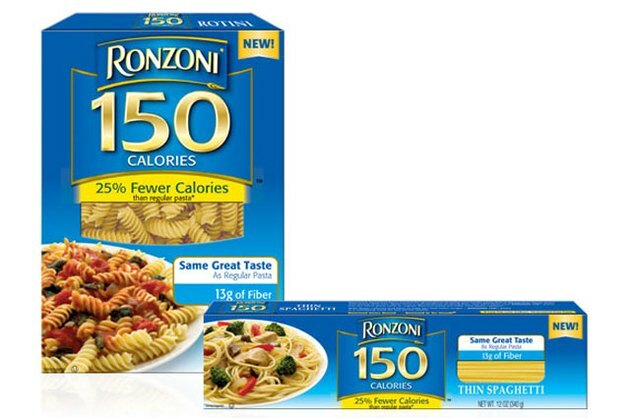 The Ronzoni 150 line does it all. It is 25 percent lower in calories, and a two-ounce serving has 13 grams of protein and seven grams of fiber. The best part is that it still tastes like pasta and has the great texture you’d expect. The only downside (if we had to include one) is that it only comes in three shapes: thin spaghetti, penne and rotini. To keep the calories in check with any pasta meal, load up the dish with veggies and lean proteins, and use a tomato-based sauce instead of sauces that include cream. 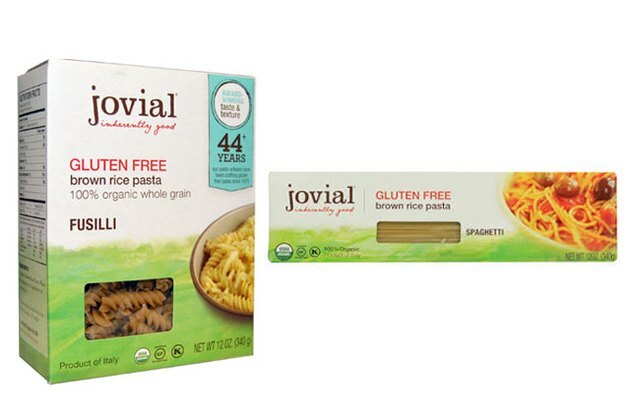 Jovial creates a great pasta option for those who are avoiding gluten. Their gluten-free line is certified organic and consists of just two ingredients — organic brown rice and water, although the tagliatelle contains organic, pasture-raised eggs. The texture of some gluten-free pasta options available on the market can be little “off” (as in mushy). Jovial holds its texture well and was even voted best by America’s Test Kitchen and Food & Wine Magazine. Barilla is a top contender in the “healthy pasta” game. The company offers a variety of pastas — quick-cook, ProteinPLUS, White Fiber, whole-grain, veggie and gluten-free — to help meet consumers’ needs. The ProteinPLUS line includes legumes, flaxseed, barley, spelt and egg whites to up the protein content. The flaxseed adds omega-3s to the pasta too. 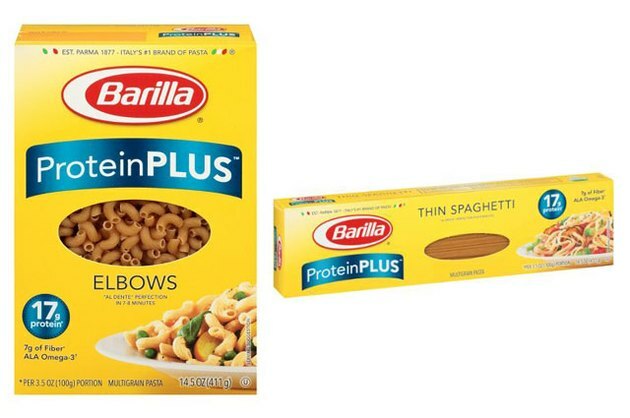 “The Barilla family tops our list again with their ProteinPLUS pasta,” says Tanya Zuckerbrot, M.S., RD. “A two-ounce serving has 190 calories, four grams of fiber and 10 grams of filling protein and still tastes great. Add fresh vegetables for a complete meal,” says Zuckerbrot. 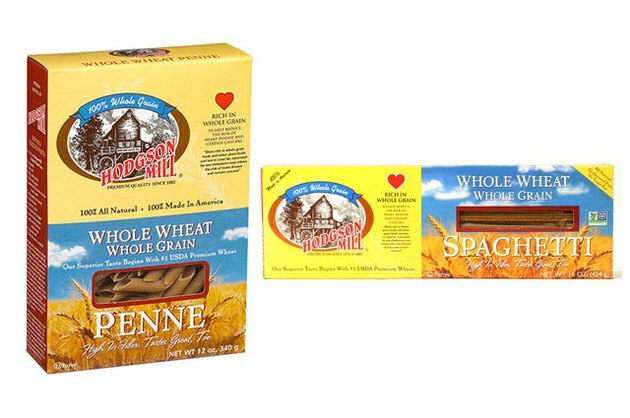 Hodgson Mill is one of the best whole-wheat pastas on the market because that’s what they do — whole grains. Because it’s made with 100 percent whole-wheat flour instead of the flour found in typical pastas, it’s naturally higher in fiber and protein. It is one of the best because it passes the pasta taste and texture test. Some whole-grain pastas have a tougher texture when cooked, but Hodgson Mill’s is very close to regular pasta. 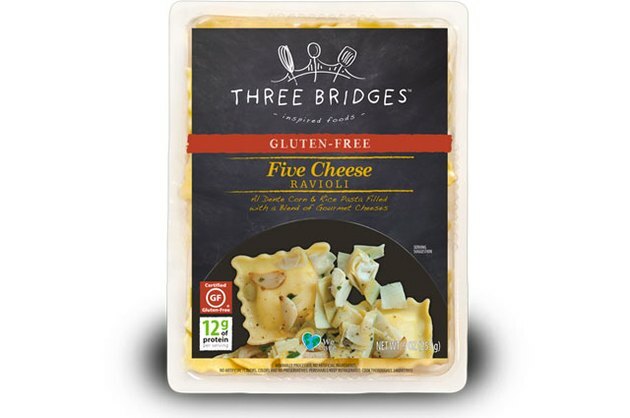 Despite a slightly sweeter than normal taste, testers of Three Bridges' corn and rice pasta liked the chewy texture that had the right mouthfeel for ravioli. The addition of the corn helps the ravioli stand up to cooking temperatures that rice pasta alone would not — great news for anyone who's had a bowl of gummy pasta. At 220 calories per serving, the Five Cheese Ravioli shows up most other pre-made stuffed pasta, which can be notoriously packed with calories and fat. What is your favorite brand and type of pasta? Why? What is most important to you when shopping for pasta? Cutting calories and/or carbs? Increasing protein? Share your thoughts with us in the comments below.